Latest Hi-COM version is ? 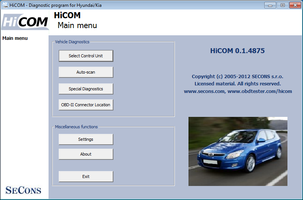 HiCOM is diagnostic tool for Hyndai and Kia vehicles. It supports all OBD2 compliant vehicles since 1996 (see detailed ECU coverage). 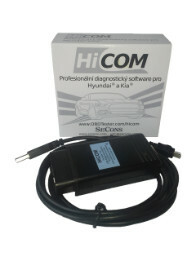 You'll get: HiCOM OBD2 USB interface, USB cable, quickstart sheet. All this packed in a box. Software download online (software on CD-ROM on request only, the software outdates very quickly, so please consider if you really need installation media). Everything is packed in bubble-mailer and all shipment are 100% insured. For more information see global product order page. We provide standard 2-year warranty for our products.